Occasionally on Twitter I’ll post a random epiphany-like encapsulation of a belief I have about film in general and hashtag it #filmthought. I have decided to write this one out here because it needs more explanation than Twitter can bear. Today, I was sitting through my third screening of Hugo (Reviews of some sort on many of the films I’ve seen will come- apologies for being behind on new content) and the theatre I was at had some issues with the polarizer on the 3D projector. The polarizer is essentially what adds the additional D in layman’s terms. If you’re one who is physically or morally averse to 3D you do not want to see it with a polarizer on the fritz. Anyway, that got me thinking, once the issue was resolved, about 3D in very general terms. I will avoid a film if it’s post-converted or slam really poor 3D. However, when there’s an artfulness to it as there is in Hugo and Avatar the technical aspect can wow me personally. For the record, Hugo is an infinitely finer narrative than Avatar. In watching this tale about the true birth of cinema, at least in part, and seeing such proficiency at the “latest and greatest” innovation I came to a realization. There have been an abundance of articles about how since film is younger than the other arts it always seems to be in peril in the eyes of those who love it most. Whereas 3D, alternate distribution paths and piracy are the big threats once upon a time sound and color threatened to end the seventh art and didn’t. In a manner of speaking film has gotten somewhat experimental at least in terms of technique. Many techniques are being rolled out before they’re necessarily perfected but solely to innovate. I think a part of the fear of film critics, historians and enthusiasts in general is that they feel history repeats itself and have found cinematic trends to be cannibalistic rather than symbiotic. That is to say new alternatives present themselves and become dominant rather than an additional option. In the annals of film history, taking all of it into account, it’s becoming one of the more well-rounded arts in terms of media employed. However, what I’d love is for such choices as 2D or 3D, color or black & white, sound or silent to be actual choices. Think of all the options a filmmaker has in his arsenal if with the potential success of films like Hugo and The Artist. 3D is medium when there is thought given to it. 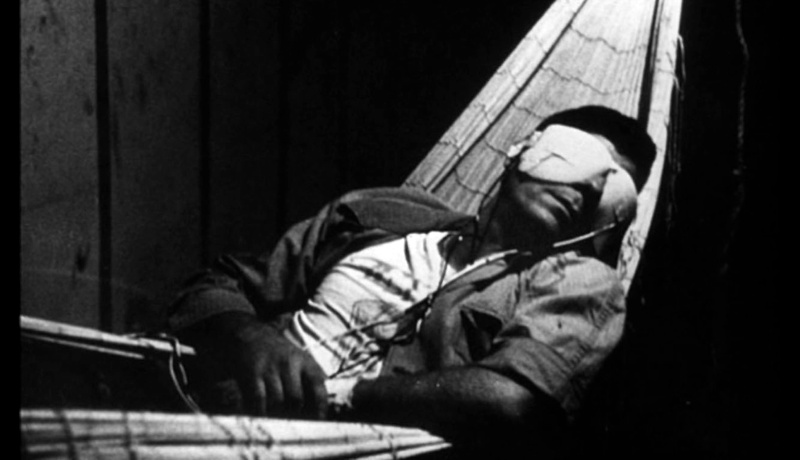 And there are even more rare instances for example: The French filmmaker Chris Marker took the still photograph montage, a wrinkle for an editorial change of pace brought in by the New Wave and created an entire film, La jetée, from it. It is imperative that film keep its elasticity of form. That the evolution of the art creates more creatures with which this art can be expressed rather than killing them off entirely. Some of these creatures may become increasingly rare but survival of the fittest need not apply to an art especially when there are many artists out there who do not want to conform or be mainstream. In summation, I will always welcome well done 3D and loathe it when it’s lazy and exploitative. There’s always room for more; in film the ways in which visual narratives can be constructed should not be limited. There are as many ways to tell stories as there are to tell them as long as there is an audience. In an ever diversifying world the artform needs to continue to push aesthetic boundaries not hide away in a CG 3D impermeable shell.